A lot of you have been asking for more details on Pathway… We are finally ready to share more now! We’re proud to reveal the first Pathway Trailer showing all of the core gameplay elements. We are also announcing today that we are partnering once again with the fantastic people at Chucklefish. 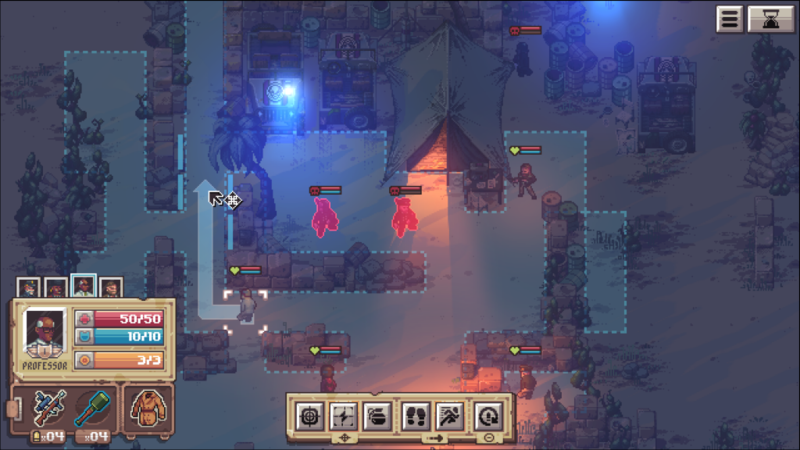 We worked with Chucklefish on releasing Halfway and we couldn’t be more excited to work with them again on Pathway! Our plans are to release the game in 2018. 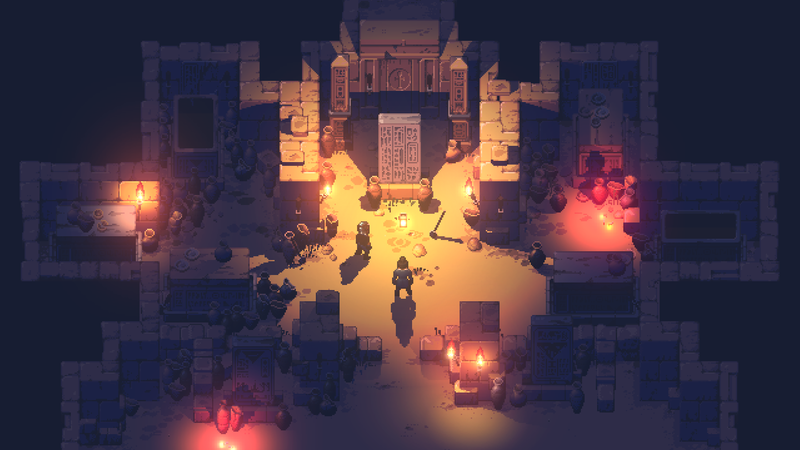 In addition to this, Pathway now has a Steam page and a new website. We are going to use the Steam page as one of the main ways we communicate news and development progress alongside our Twitter and Facebook feeds. So if you’d like to stay in the loop, make sure you add Pathway to your wishlist on Steam! Ancient, bewildering artefacts are materializing on black markets around the world. Rumours of a new element, which German researchers allude to as Valkyrium-500, are spreading. Hushed voices speak of an elusive “Projekt Walhalla” – the meaning of which remains obscure. Meanwhile, agents of the Reich are reportedly conducting frantic excavations around the globe. However, these puzzling artefacts also managed to draw the attention of wealthy private collectors. As the owner of Lankford & Co, a specialised business known for recovering unique items quickly and discreetly, you welcome this. Your responsibility is to uncover the remains of a lost civilisation, before the Germans get to it. How exactly you go about this, is up to you and your thrown-together band of eccentric adventurers! 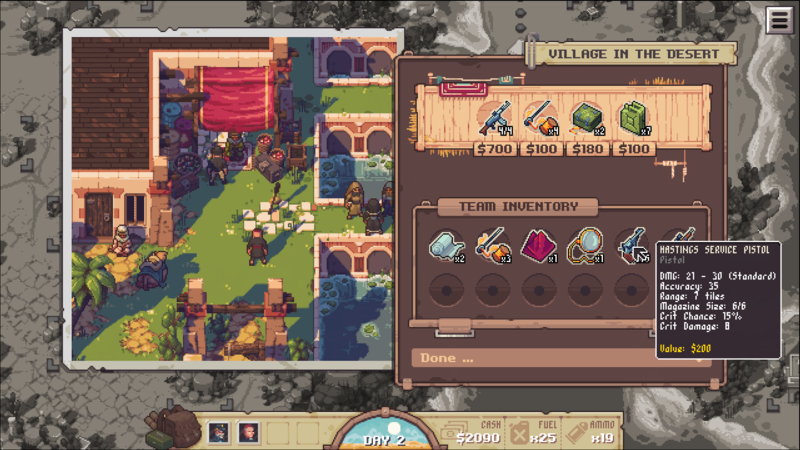 FIGHT deep and demanding turn-based strategy battles. GUIDE a cast of eccentric characters on a journey into the unknown. EXPLORE lost temples, haunted tombs and Wehrmacht strongholds in ever-changing levels. DISCOVER mysterious artefacts – powerful remnants of an ancient civilisation. LISTEN to an original soundtrack by Gavin Harrison of Halfway fame. IMMERSE yourself in a gorgeous 16-bit world built upon a novel pixel/voxel hybrid technology. Hello everyone, and welcome to an update from the Robotality HQ. One year ago, on July 22nd, we released Halfway to the public on Steam and the Humble Store, followed up by GoG a bit later. The game will be on a 66% discount on all three stores for one whole week. So, if you’ve been waiting for a sale to check out Halfway, here’s your chance! Head over here to buy it on your favorite store or directly from us! We promised you we’d do a Post Mortem where we’d share some statistics and details on how well Halfway has done so far. This anniversary is a nice opportunity to present a “Halfway in Numbers” feature which shows you some interesting numbers of Halfway’s development, and how the game has performed over the course of the last 12 months. We’d love to hear your feedback and questions, so please hit the comments or drop us an email! That’s all for the time being from the Robotality HQ. Stay tuned on this blog for some first news on our next adventures! We would like to give you a small update about what we have been working on and what is going to happen next. But first: A big “Thank you!” for this awesome year we had together with you, the players! When we released Halfway back on July 22nd we didn’t know what to expect of the days, weeks and months to follow. 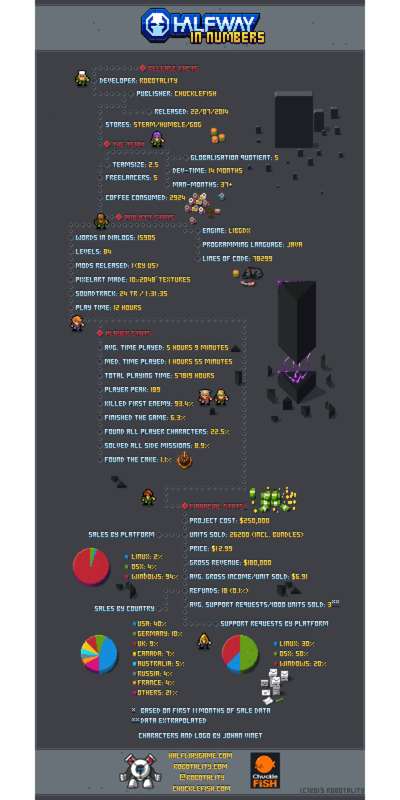 Also, during time of release, some bigger changes happened regarding the team structure of Robotality. 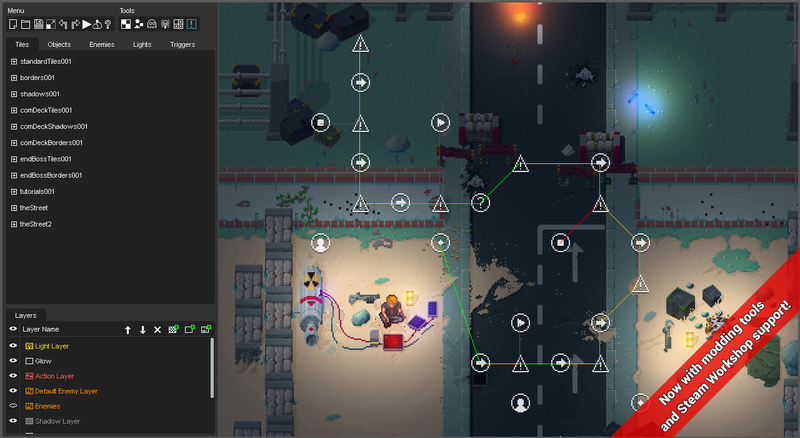 While Stefan decided to leave Robotality to pursue new adventures, Daniel Ludwig and Stephan Naujoks joined the team full-time to fill the gap. Both are long standing colleagues and friends of mine, back from the time when we worked together on “bigger” games like Neocron and Black Prophecy for the company Reakktor Media. With this awesome new team we are now working on two new projects. The first one is a small side project which will be announced very soon, and is done in collaboration with several super talented developers and artists. The second one is a new, larger project which is still in the R&D and concept phase right now. We really can’t wait to share some first details with you guys on both of the projects. 2015 will be an awesome year! Watch this space for news soon. We have joined forces with the brilliant team of Humble once again, and put Halfway to their great Humble Weekly Bundle – RPG Edition. If you pay more than 10$ you not only get Halfway but many more awesome RPG games such as Spiderwebs “Avadon 2” or Bossas Studios “Deep Dungeon of Doom”, to name a few. Thanks again from the whole Robotality team. We wish you relaxed holidays and a great start into the new year. See you in 2015! Disclaimer: This is a rather technical blog post, and a testimonial about Excelsior JET. The Halfway game code is written in Java using libGDX, a Java game development framework. Both the game itself and libGDX utilise a number of additional Java libraries which interface with system-dependent native libraries on Windows, Linux and Mac OS. Writing a game in Java can be very convenient, as Java is a pretty powerful language, with an ecosystem driven by a very large community. The libGDX community for example is a very active and friendly crowd of game developers. Publishing a desktop game written in Java is a different beast though. To our knowledge there aren’t that many libGDX games yet which got released on all three major PC operating systems simultaneously. We’ve had a couple of issues related to that. Properly bundling a Java runtime environment and interfacing it with e.g. Steam, while not interfering with the user system which might or might not (or doesn’t want to) have Java installed isn’t as easy as we hoped. It nicely works for most users, but resolving the few arising issues can be pretty time-consuming. Enter Excelsior JET, a commercial software product by Excelsior LLC. Excelsior JET translates Java byte code into an executable which runs native code on Windows, MacOS and Linux platforms. Excelsior kindly asked us if we are interested to try out JET and provide feedback, especially about their relatively new OS X version. We went on and created native builds for Windows (32 bit), OS X (64 bit) and Linux (32/64 bit, tested on Ubuntu and Mint). Using JET to compile a native version has been enjoyably straightforward. Once set up, creating a build is a matter of pointing it to the game code & assets, and have it spit out an archive or installer with a native executable a few minutes later. Shell scripts are provided too which can be used to conveniently automate follow-up builds. We’ve had to adjust one or two minor issues (read: wrong assumptions done by coder) in the Halfway code. There have been some questions about build configurations which were quickly resolved by the Excelsior documentation and their responsive support team. Besides that, the resulting native build just worked. Out of the box. In theory, native code might run faster, though Halfway isn’t as computational intensive as other games. We didn’t do a more detailed performance analysis yet, but the native version runs at least as smooth as the Java version on our test systems. 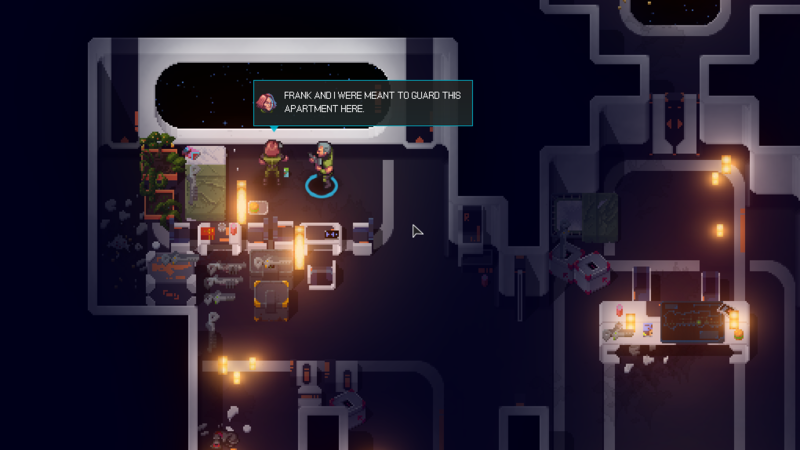 Today we’ve released a public beta branch on Steam which provides a native build of the recent game version, Halfway v1.2.3. With this beta we want to gather feedback on a wide range of user system configurations. If you are interested to give it a try, please head over to the Steam community forum discussion. Regarding Halfway we are not sure yet if we are going to switch to native builds in future updates. The game is released since a couple of months now, and the system requirements are slightly different to our Java version. We strongly consider use of JET as a valid option for future projects though, where we can integrate native builds much earlier in the development and release process. The price of $3000 per seat and platform will certainly be a non-trivial issue for indie game developers. Excelsior is offering discounts for micro-businesses and free versions for non-commercial use. You guys asked for it and we heard you: From today you can buy Halfway on GoG. Naturally DRM-Free and as a bonus for you GoG fans it comes with the OST bundled, created by the awesome Gavin Harrison. As it is a great day for us and Halfway , we decided that the GoG version should have a 25% sale too. We’ve finally finished up the modding tools and have decided to bring them out of beta. To celebrate this we decided to go for a 25% sale on Steam, Humble and our own Humble-Widget. So get it while this sale lasts! For our existing players, we have added a small “thank you” into this update in the form of a extra hard gameplay mode (game mode ++). Play the extra hard version with tougher enemies and even greater challenges! From now on, everyone that owns Halfway can also create and play mods. Now all the tools we used to create the game ourselves are available to everyone. Zip the folder of your mod and upload it to Dropbox or any other website and share the link with your players. The only thing your players have to do: Copy the zip file in the mods folder, start the game and activate the mod in the options. Done. We are really looking forward to what you are going to create. Please let us know if you have something to show, if you have questions, or if you find bugs and issues. The mod tools are here, sort of. 😉 We decided to lunch the modding tools as a beta for everyone who wants to get his hands dirty right know. This means if you want you can already start making your mods and at the same time help us find some bugs that we may missed. Currently the whole thing is Steam only, but the full release of the modding tools will be over all other versions too. So you don’t need Steam when we have them properly released. Additionally it should help you get an overview how to setup a mod in the first place too. Please note: This is a beta and some features are still missing, like uploading the mods and packing them into zip files etc. They will come soon! Where do I find some information about the tools? I’ve found a bug, where can I report to? Or over here at the Steam Forum of Halfway. How do I opt-in for the preview versions? In your Steam game list, right-click on Halfway and select “Properties”. Navigate to the “BETAS” tab. In the field labelled “Enter access code…” enter this code: halfwaypreview. Click on “CHECK CODE”. In the checkbox above there should now be an item named “preview – Public Release Candidate” available to select. Steam now should start patching your version, and display the game as “Halfway[preview]” in the Steam library. How do I go back to the release version? Just select “NONE – Opt out of all beta programs” in the “Properties / BETAS” tab. If you want to be really safe, you can follow up with selecting the “Properties / LOCAL FILES / VERIFY INTEGRITY OF GAME CACHE …” option. How to setup an new Mod. Take a look at the game folder and navigate to the ./mods/ folder. There you should find a ./game-mode-plus/ folder which contains the new extra hard game mode. To setup a new mod just make a new folder in the mod folder and copy over the files from the main game you want to change and create the same folder structure as the main game has. We are still working on the mod tools and the basic documentation but not much longer anymore, we have already successfully made our first mod ourselves and it worked as intended. So watch this space for some news soon! We released Halfway, got a lot of good and valuable feedback from player and tons of love from all over the place. Released several patches that changed some of the things players didn’t like and improved on all aspects of the game. Now we are super busy finishing up the modding tools for everyone and hope we can release them very soon. The plan is to have an open-beta for the first set of tools soon over the Steam beta channel so we can collect feedback and fix all the bugs you guys may find. As soon as we have everything tested and it is not breaking the actual game anymore we will release it officially. Anyway, to show you a bit more in detail what you can expect from our map editor, we did a 3 part preview of the tools with me making a level from scratch. 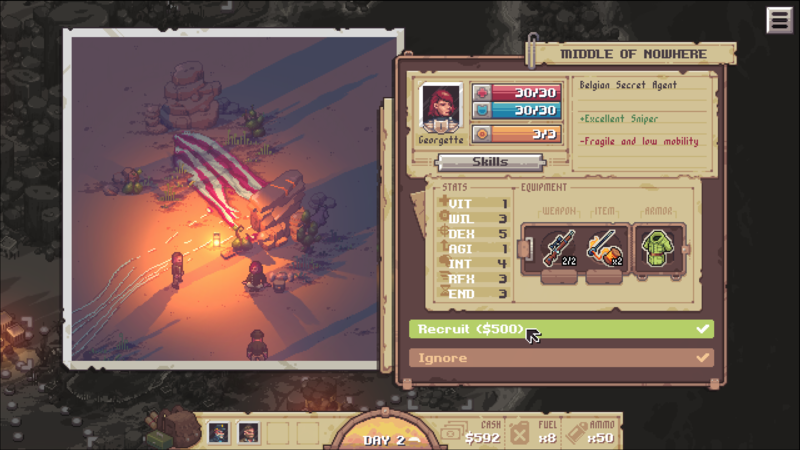 You will be able to make your own campaigns and/or edit existing levels. 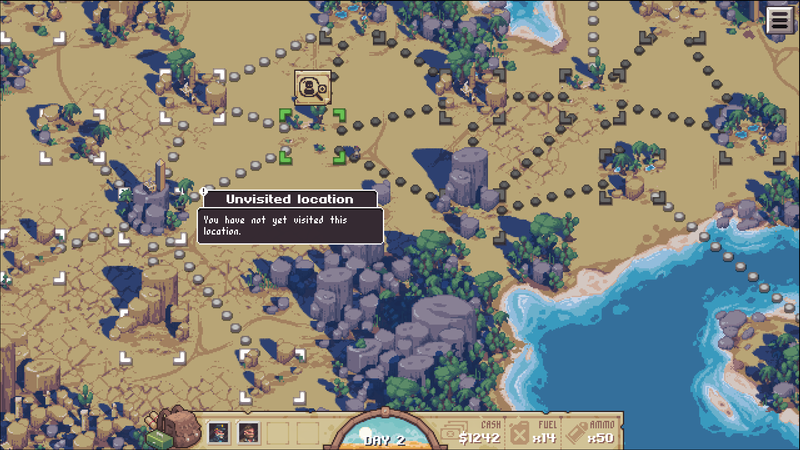 We hope this gives you a good overview of what you will get with the map editor. There are more tools for adding new art or for changing other parts of the game, but this will be part of another video tutorial series. We finally finished our presskit! You can find it over here: Robotality presskit. Didn’t get around to playing Halfway yet?